Regni et insulæ Hiberniæ delineatio in qua sont Lagenia, Ultonia, Connachia et Momonia provenciæ. This map isn't part of any series, but we have other maps of Europe that you might want to check out. 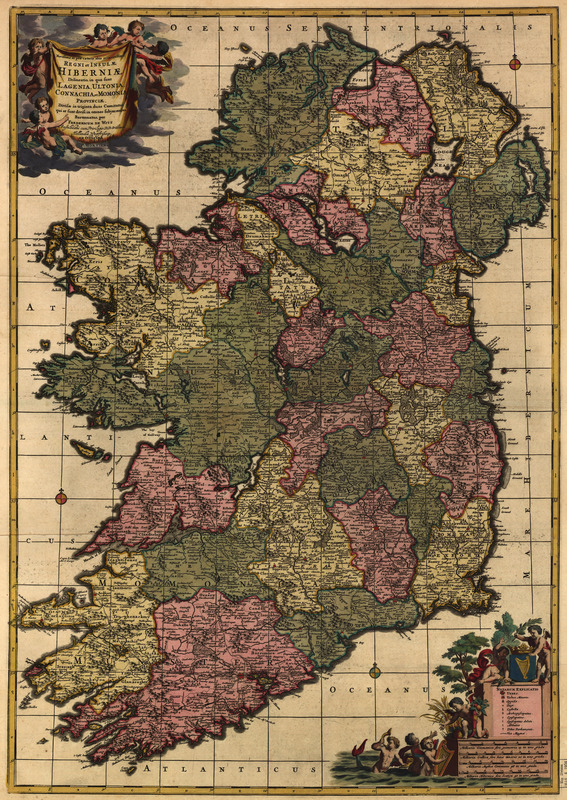 Dutch cartographer Frederik de Wit's map of Ireland [gmap] as it was envisioned in the 1700s. 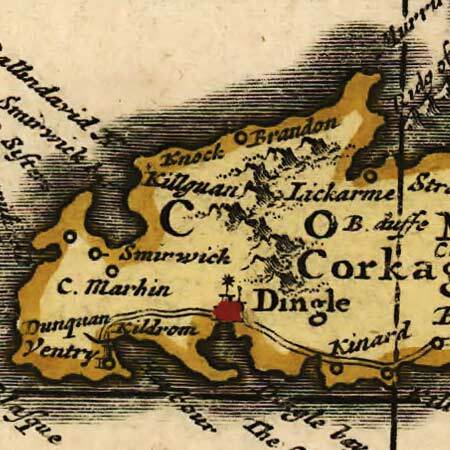 For more map resources and imagery from this period in Ireland's history, check out the National Archives of Ireland's website.